You may not be able to meet Leonardo Divinci in real life but you can meet his holographic reproduction. 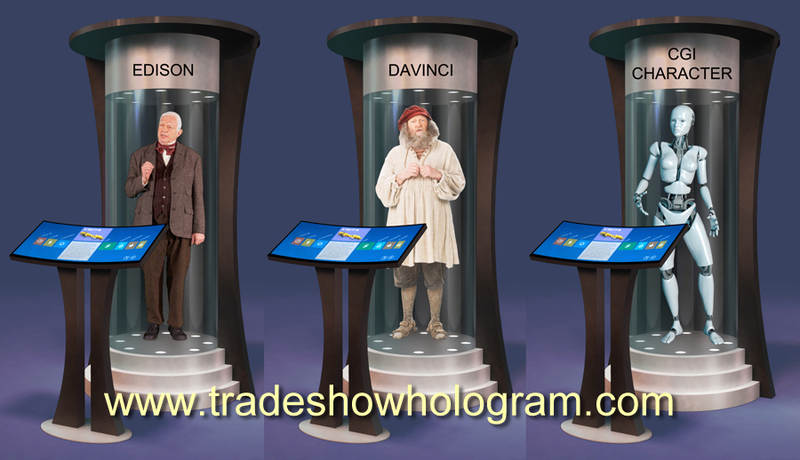 Trade Show Holograms offers the HoloTube, a special display primarily intended for museums or trade shows where a full sized holographic greeter or historical figure is required to interact with visitors. Imagine hearing a lecture from Edison, Neil Armstrong, Elvis, Davinci or any other historical figure or fictional character. This new technology allows for full size holographic presentations in a fraction of the space normally used to create life sized holograms. An available touch screen offers a very wide range of options to interact with the holographic projection.